The obsessive and omnipresent concern of ufologists to show that UFO sightings are produced by the visit to our planet of extraterrestrial beings, has given rise to one of the greatest frauds ever seen in the investigation of a paradigm. It is inadmissible that none of the classical researchers has revealed, or at least pointed out, in some of their numerous writings, some of the main factors or elements of the phenomenon that invalidate, from the outset, extraterrestrial theory, and a posteriori, many of the approaches put forward by other ufologists, even the most avant-garde hypotheses. The majority of researchers have completed their postulates, at best, with only 40% of the case studies on the table. Ignoring for decades that the UFO phenomenon seems to be the result of a psychic interaction between the witnesses and an unknown external agent, which is capable of creating a projection that contains a lot of unconscious (ideographic) material of the witnesses themselves. 1.- From the first to the last page of many ufological books, it is clear that there are infinite different types of flying saucers and occupants. As diverse and picturesque as they are different, they are witnesses to each other. Have you looked at the number of different aliens that appear on the pages of these books? Why didn't any researcher distrust this issue? Is it possible we were being visited by a legion of alien races? Why so many kinds of UFOs, different in size and shape? 2.- Before the study of the same facts; proximity of a UFO, landing on a soft ground, impact of a light on the witness, etc., the same effects, tracks, traces or injuries were not recorded, why? That is, sometimes UFOs leave traces and sometimes they do not (even if it is the same type of terrain). Sometimes they cause electromagnetic interference in cars and electrical appliances and sometimes they do not (even though the distance to the UFO is the same for vehicles). Sometimes they cause harm to people and sometimes they do not (even if they are exposed to the same factors). Therefore, it is very obvious that the effects caused by the interaction with the phenomenon are produced by causes other than the simple presence sine qua non of the paradigm in front of the witness. Otherwise, these different consequences would occur as long as we had the same factors in play. 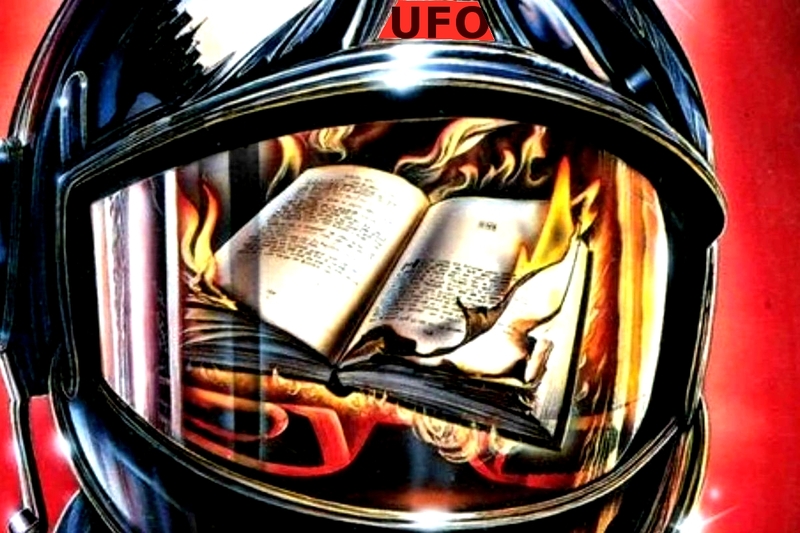 3.- Another circumstance that is very clear, after reading dozens of books, is that UFO cases are not connected to each other. We cannot follow or weave a plot that leads us to a single great common history. The only thing UFO events share is their basic structure. The witness will report: 1. that he has seen a "thing" flying in the sky, 2. later, that this "thing" has landed, and 3. from this "thing" some beings have descended. But, incomprehensibly, these aspects, which should have greater homogeneity, are highly malleable and in each case, the elements "thing" and "beings" will be surprisingly different in size, shape and colors. And this has been noted in an overwhelming and revealing way, why has this particular fact not given rise to more debate? 5.- The information obtained from the "extraterrestrials" is a compendium of nonsense and, at best, the witness's own knowledge, "distorted" by the paradigm (the external agent). After decades of analyzing the communications of the alleged aliens, there has been no evidence of any truly novel knowledge, either at the scientific, philosophical, social or religious level. 6.- UFO crews do not influence or manipulate large sectors of society. Although it is insisted that the ufonauts interfere with our belief systems and act as a sort of spiritual catalyst, all of this takes place in a very small setting, and has more to do with how witnesses, let alone everyone else, react to these phenomena than in other circumstances. 7.- The UFO phenomenon does not adapt to society by changing its external appearance over time. It does not use any kind of sublime psychic camouflage. Simply put, the staging we observe has to be synchronous with the advances, thoughts, beliefs or myths of the time. All these factors indicated, practically since the late 1950s, that the witness was a vital and substantial part of understanding and decoding the meaning and nature of close encounters with UFOs. However, most researchers have chosen to ignore all of these signals and continue to speculate free of charge, far removed from the casuistry they had in their hands. It should be borne in mind that in subsequent years the incidents only corroborated these initial assessments of the first reports recorded by the UFO pioneers research.